From The Roof Down In Residential Renovations: Looking for the Best in Roofer? Hire a Master Elite! Everything from the Roof Down will be featured by Residential Renovations. Considered by most homeowners as a "Different Kind of Roofing and Home Remodeling Company" you will discover product choice, pricing and customer satisfaction is at the core of our success in our metal roofing and home renovation projects. Even though there are many roofers and remodelers to choose from in Ohio and Michigan - We are a leader in long lasting home beauty and value when it comes to renovation. Looking for the Best in Roofer? Hire a Master Elite! According to the 2015 State of the Industry Report there are approximately 148,900 people employed as a Roofers in the United States. Like the census, it is hard to know how many hundreds and thousands of other roofers there are in the U.S. for sure, but the point is simple - there are far to many roofers advertising to know for sure which one is the best or most reputable. For example, most do not know, but among all the roofing manufacturers, GAF is considered America's largest Roofing Manufacturer. GAF is also the only roofing shingle that has earned the Good Housekeeping Seal of Approval and has maintained it since 1997! Also, since 2012, GAF has maintained the Women’s Choice Award ® which is considered only to be awarded to those products which meet the high standards of both quality and service. GAF as a roofing manufacturer took it upon themselves to develop their own standards to aid consumers in selecting the right roofing contractor by developing training and warranties for their best of the best roofers. This program is called the Master Elite® Contractor Program. Due to GAF’s stringent standards, only 3% of all roofing contractors have qualified as Master Elite® contractors! A Master Elite contractor is the only type of roofer than can provide the GAF Golden Pledge Warranty, the most powerful and substantial warranty in the entire roofing industry. A golden pledge warranty is the only warranty that requires the entire roof system to be from GAF, a single manufacturer, too. But look no further than Residential Renovations for the best roofing contractor in Northwest Ohio and Southeast Michigan! Not only are we a GAF Master Elite Contractor, but we are Metal Master Roofers as well certified by DECRA and ABC to name a few. At Residential Renovations we do it all when it comes to roofing - from asphalt to metal roofs! Visit our website at www.ResidentialRenovations.com to learn more or call 419-691-3300 to set up an appointment now! We just had the new roof installed. Thanks to Yelp, we found this fabulous roofing company. Max Lee is very professional. He and his crew very on time. They worked very hard, can't believed they finished 2 houses in 3 days. My roofs is very nice right now and passed all the inspection. At the end of each working day, they cleaned up everything, leaving with spotless. i am always looking for some free stuffs over the internet. 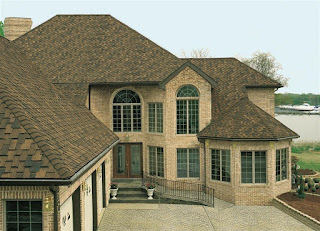 there are also Residential Roofing some companies which gives free samples. If you don't want any kind of roof leakage in your house then call roof replacement Texas who will provide you best service at very affordable price. Copyright Residential Renovations LTD - Ohio. Picture Window theme. Powered by Blogger.